Greetings! On behalf of the Career Development team at Belmont University, we look forward to your partnership this year. There are many ways that we would like to collaborate with you and below are some opportunities to connect. Handshake: our career management platform is providing students with more job and internship opportunities than ever before. Contact us to schedule time with one of our staff members to preview Handshake, or to gain login information for the system. Belmont & Beyond: speakers from a range of professions visit campus throughout the year. Please join us and share the upcoming dates with your students. Career Specialization: each major has a dedicated career development specialist who will provide customized resources and job search support to students. These specialists are organized in industry clusters to assist students with connecting to employers in specific fields of interest. Meet your specialist and have your students contact them directly to schedule appointments. Employer Relationship Management: we will follow up with any employer contacts/opportunities you refer, keeping you in the loop throughout, and assist employers with posting in Handshake. We also invite you to attend our annual Career Fair and networking events on campus to build relationships with employers. Class Presentations by Request: consider inviting the Office of Career & Professional Development into your classroom. We present on a number of career development topics and can develop in person or digital content specific to your needs. Contact your specialist directly to request a presentation. Include us in your syllabus: copy/paste text directly into your syllabus to share information about Career & Professional Development with your students. Text can be found here. Career Outcomes Data: we collect and review multiple-year data about jobs and graduate programs students selected. 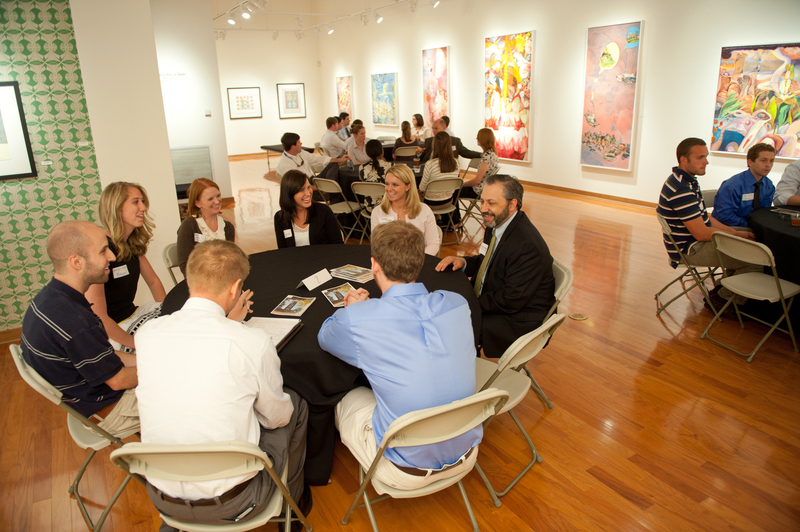 Networking: we provide targeted sessions to highlight the career paths of alumni from a specific concentration. If you would like to discuss any of these partnership opportunities, please contact me at (615) 460-6490 or maryclaire.dismukes@belmont.edu.